A whole range of pilot recruitment initiatives were launched in spring by some of the aviation industry’s leading lights. From EasyJet to Air India, airlines have been taking steps to sure up their operations by hiring talented, experienced new pilots. Here, we’ll introduce you to some of the biggest pilot recruitment initiatives to have taken place in the last few months. What has been happening with pilot recruitment in spring? EasyJet commenced an initiative meant to bring in an additional 450 pilots to fly from its Edinburgh and Glasgow bases. The carrier recently announced that 2016 was a record year in terms of pilot recruitment, with 426 new aviators enlisted. EasyJet will apply particular focus to female pilots as part of its ‘Amy Johnson Flying Initiative’. This scheme aims to increase the ratio of women entering EasyJet pilot training by 12%. Ottawa Aviation Services (OAS) have signed a new pilot recruitment arrangement with Air Georgian Limited. The deal will enable pilots working as OAS flight instructors to work for Air Georgian as CRJ 100/200 First Officers. Air Georgia currently operate 31 domestic and regional flights (primarily serving the US market), operating under the name Air Canada Express. Politicians in Ottawa have also launched a ‘name-blind’ job application initiative aimed at reducing recruitment bias. With certain demographics found to be less likely to be called for an interview, it’s hoped that removing applicants’ names from application documents will help level the playing field. Air Wisconsin have signed a new deal to operate as a United Express carrier from September. From March 2018, the deal will see Air Wisconsin operating as an exclusive partner, servicing hubs including Chicago’s O’Hare International Airport and Washington Dulles International Airport. As a result of this new arrangement, Air Wisconsin will look to hire over 400 additional pilots by 2020. The carrier has also revisited the structure of its bonus program. Cash bonuses will be increased to approximately £44,750. Pilots type rated for turbine aircraft will gain a bonus of around £6,280. New pilots will therefore earn between approximately £204,000 and £250,000 in pay and benefits within their first three years. 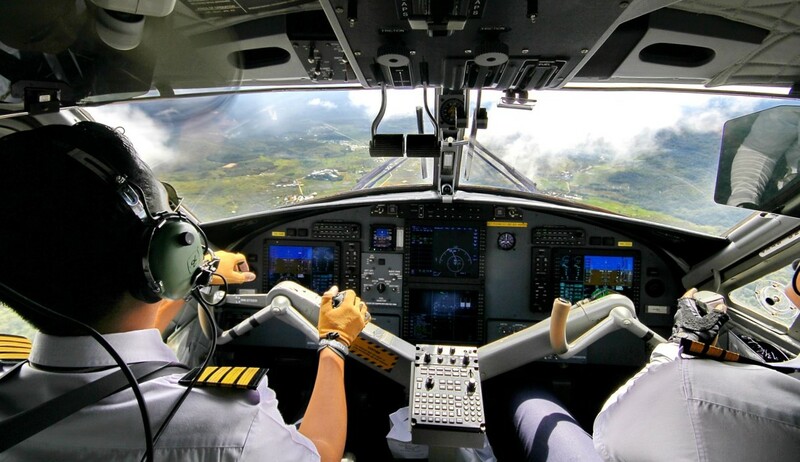 Aviators can also be expected to move into a pilot role within 18-24 months. Air India, the country’s state owned airline, has commenced efforts to sign 80 new junior pilots to fly the company’s Boeing B777 and B787 wide-body aircraft. The airline’s fleet currently comprises 15 B777 and 23 B787 aircraft, co-piloted by 170 staff. With Air India, set to take delivery of seven more of these aircraft before summer 2018, the company is rumoured to require an additional 200 co-pilots in total. The airline intend to have the current batch in place by the end of June. Elsewhere in India, Vistara (who operate an all-Airbus fleet) have announced their intention to hire pilots with a minimum of 750 hours’ experience piloting Boeing aircraft. Spring has been defined by airlines hiring huge numbers of pilots, as well as government and national bodies implementing innovative new procedures. With so much activity, it’s clear to see that pilot recruitment has really taken off in 2017. At AeroProfessional, we put the onus on effective and engaging candidate management. We find candidates based on their qualifications and profile, before nurturing them throughout the entire recruitment process. This enables us to provide clients with quick access to highly skilled and motivated candidates who are ready to hit the ground running. Gain access to a pool of experienced, qualified and pre-vetted pilots by calling on the experts at AeroProfessional.